The Cincinnati Center City Development Corporation (3CDC) has helped spark a transformation of Cincinnati’s urban core in less than 10 years. 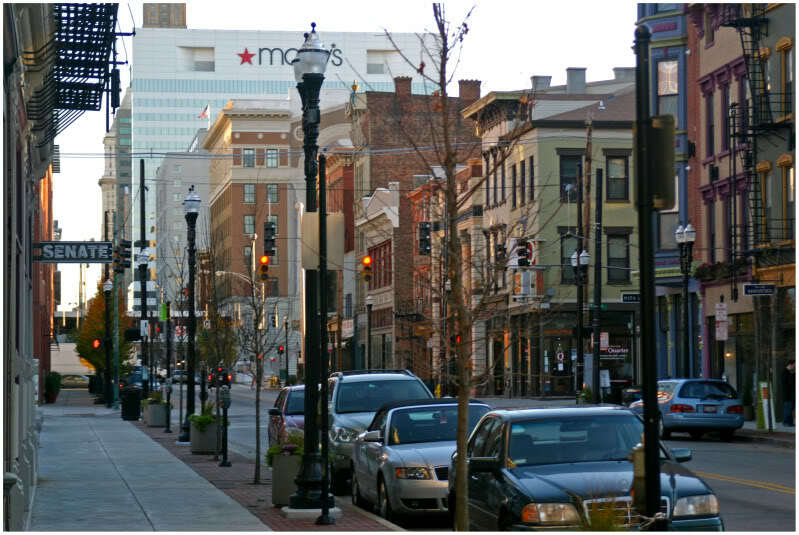 To date, the non-profit development group has largely been defined by the success that has taken place on and around Fountain Square and the Gateway Quarter for which they are responsible. Since their founding in 2003, 3CDC has invested more than $250 million into the center city. That investment has led to the renovation of scores of new restaurants and bars in the on and around Fountain Square, hundreds of new residential units and dozens of new businesses in Over-the-Rhine, and the renovation and expansion of Washington Park which is now underway. Even with all of that work to date, the development group says that they are only just now getting started. In 2011 3CDC will get started on the long-anticipated, $51 million Mercer Commons development that will renovate 20 historic structures and infill 26 existing vacant lots in a two-block area of Over-the-Rhine. The group will also renovate a cluster of buildings along 6th Street into entertainment and office space, and a $48 million project will transform the former Metropole Apartments on Walnut Street nearby into a 21c Museum Hotel. Some neighborhood residents and business owners do hope for additional neighborhood involvement on the part of 3CDC as they continue their efforts. With that said Marable welcomes the additional investment and see a bright future for the neighborhood he now calls home and operates his own small business. The $48 million renovation and expansion of Washington Park is expected to be complete in 2012. And in addition to all of that, 3CDC is requesting $85 million in federal tax credits to keep the momentum rolling.